All Kehilla members are welcome to join us for our customary meetings on the second Monday of the month at 7pm. Below are summaries of the books we will read in July and August, taken from Amazon. Zlabya falls in love with a dashing young rabbi from Paris, and soon master and cat, having overcome their shared self-pity and jealousy, are accompanying the newlyweds to France to meet Zlabya’s cosmopolitan in-laws. Full of drama and adventure, their trip invites countless opportunities for the rabbi and his cat to grapple with all the important–and trivial–details of life. 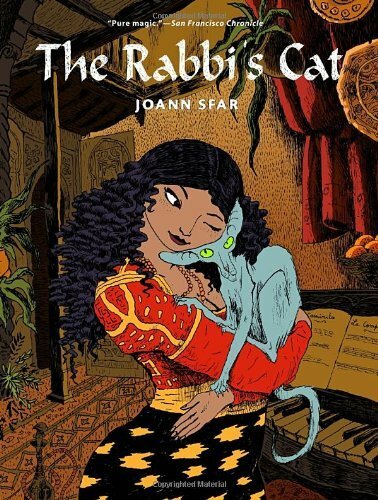 Rich with the colors, textures, and flavors of Algeria’s Jewish community, The Rabbi’s Cat brings a lost world vibrantly to life–a time and place where Jews and Arabs coexisted–and peoples it with endearing and thoroughly human characters, and one truly unforgettable cat. August 10th: I Am Forbidden by Anouk Markovits. Sweeping from the Central European countryside just before World War II to Paris to contemporary Williamsburg, Brooklyn, I Am Forbidden brings to life four generations of one Satmar family. In 1939 Transylvania, five-year-old Josef witnesses the murder of his family by the Romanian Iron Guard. He is rescued by a Christian maid who raises him as her own son. Five years later, Josef rescues a young girl, Mila, after her parents are killed while running toward the Rebbe they hoped would save them. Josef helps Mila reach Zalman Stern, a leader in the Satmar community, in whose home Mila is raised as a sister to Zalman’s daughter, Atara. With the rise of communism in central Europe, the family moves to Paris, to the Marais, where Zalman tries to raise his children apart from the city in which they live. 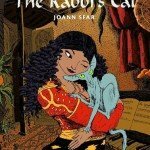 As the two girls mature, Mila’s faith intensifies, while her beloved sister Atara discovers a world of books and learning that she cannot ignore. We will be getting these books from the Jewish Library so please contact Jan Herzog at Jan@kehillasynagogue.org to find out about obtaining a copy of the book. We’ll be reading All the Light you Cannot See in September.